The outspoken Anthrax guitarist is coming to London for our annual awards ceremony. Orange Amplification Presents the Metal Hammer Golden Gods in association with World Of Warships hits London’s Indigo2 on June 15th. 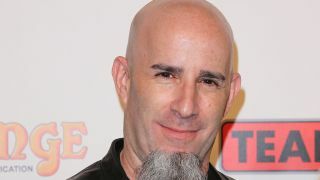 We’ll be giving away awards throughout the night as well as hosting loads of live performances – and who better to keep people in check than Anthrax’s Scott Ian? We’ll start announcing the live bands for the show next week and if you want the chance to come along to the award ceremony – just cast your votes here now.